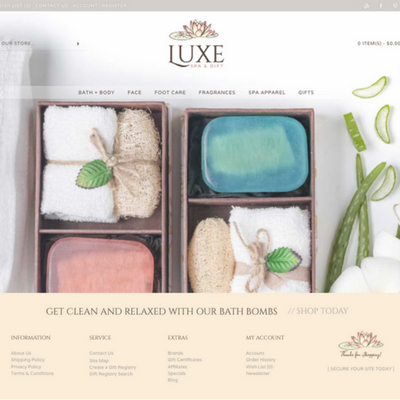 Concept: Luxurious, relaxing and calming is what this specialty online boutique is all about! 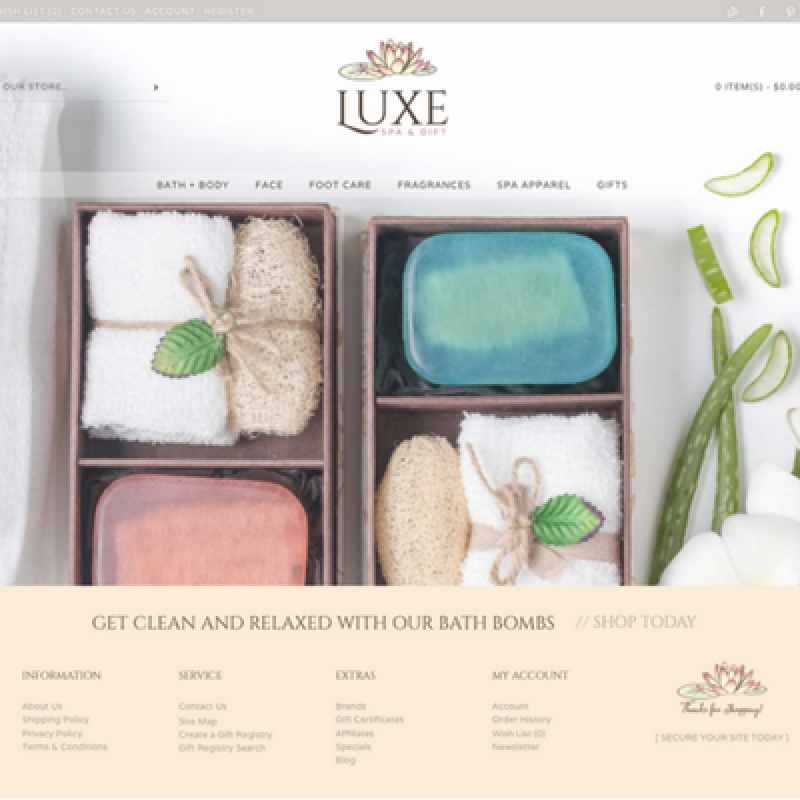 Welcome to LuxeSpaAndGift.com - this elegant spa boutique offers a variety of relaxing essentials to create a home sanctuary to "soak your cares away"! Plus, online shoppers can find everything they need to have happy hands and feet or to give the gift of relaxation with a beautiful collection of boutique gifts. With a 100% responsive design this website offers many outstanding features including quick access to product categories, eye-popping images to a memorable domain name to draw the attention of online shoppers. They will have a great shopping experience whether they are shopping from their PC, tablet or smart phone. Plus, as the owner of this online store you will be able to share tips, announce the latest news, products and inspiration with others who love to be pampered through the connected social media, blog and newsletter, which are all connected to the website's home page. 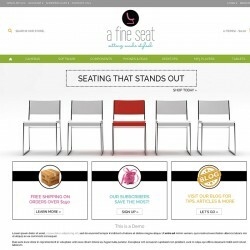 You can run this beautifully designed and user-friendly website from any location as it offers all drop ship products. Our team will load the first 800 products for you, as well as, establish the initial vendor relationships to help you get started. Plus, you will receive 40 hours of ecommerce consulting and access to our eLearning Library as you work through our step-by-step instructional program. Looking for even more, we offer a platinum package upgrade that includes many perks to jump start your online business even more! Are you ready to be your own boss? Are you ready to take the next step? Then now is the time to request additional information on how we can help you get started! We'll send you our complete information package including our current price list. We can also set up a FREE phone consult with you to answer any questions you may have about starting an online business. Do not wait - this elegant spa boutique will not last long! According to IBIS World, the Health and Wellness Spas industry has experienced steady growth over the five years to 2016. The International Spa Association annual report indicates that the industry continues to experience steady growth with an overall revenue of $16.3 billion in 2015, which marks a five percent increase from $15.5 billion in 2014. The baby-boomer generation is expected to take advantage of expanding anti-aging services over the next five years, making the demographic an especially important source of industry growth.